Banks are the traditional institution for handling deposits and extending credit, but they aren't the only place that performs these functions. Non-banking finance companies don't have a full banking license, don't provide all of the services that an individual bank provides and aren't subject to the same regulation. In some cases, this may make them better options than a bank, but they also may be riskier. Banks are financial intermediaries that take funds from depositors, pool that money and lend it to those seeking funds. They make money, in part, by paying depositors less interest than they charge borrowers and pocketing the difference. Banks often offer checking and savings accounts, certificates of deposit, personal and business loans, mortgages and credit cards. While the specific financial products that each bank offers differ, one of the primary advantages of a bank is that deposited funds are insured by the Federal Deposit Insurance Corporation. As of 2018, customer deposits of up to $250,000 are protected in case of bank failure. 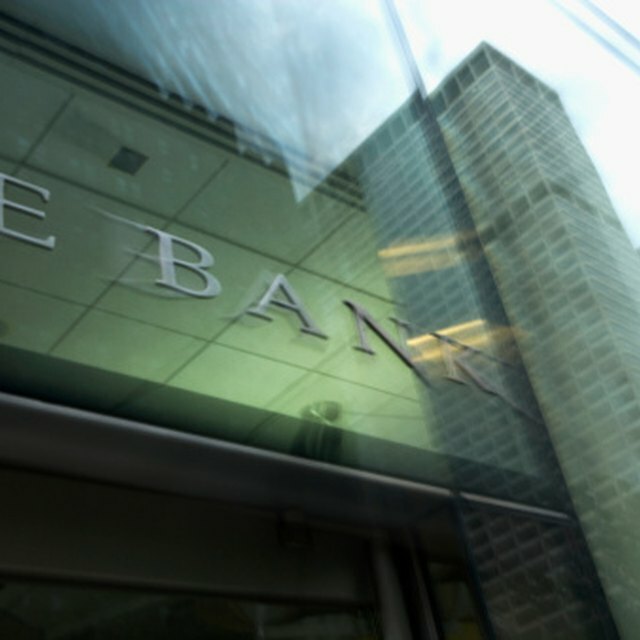 Some non-banking finance companies may better serve customers who can't be served efficiently by banks, or those who banks do not seek as customers. For example, a check-cashing outlet can provide low-income customers a less expensive alternative than a bank, if the bank charges fees for those unable to maintain a minimum deposit. Other non-banking finance companies serve the other end of the financial spectrum. Hedge funds, for example, pool money from a group of investors and invest the funds in ways that emphasize potential returns over risk. Their lack of regulation allows managers to select opportunities that provide a bigger payout than anything a bank could offer – if the bet pays off. Because of the role they play in the economy, banks are highly regulated. These regulations limit the exposure to risk that banks can take, which means they aren't very flexible in their lending standards or other policies. If you have poor credit, it can be hard to find a bank willing to lend you money, even at a high-interest rate. Regulation also limits what banks can do in other ways. Capital requirements restrict the amount that banks can lend, which can have a particular impact on banks that do business overseas. A strong dollar relative to foreign currencies can put U.S. banks in a less competitive position compared to foreign counterparts. Banks have increased their fees over time, both in terms of the amount charged for specific services and the situations that can lead them to charge customers. Bank regulations can cause limited access to your money. If you have a check from another institution, for example, you may have to wait days for the funds to be made available to you after the check deposit. Because non-bank lenders tend to take on riskier loans, their interest rates often are higher. You'll pay a fee to cash a paycheck at a standalone check-cashing store, for example, but a direct deposit into a checking account shouldn't cost you a thing. Payday lenders can charge triple-digit interest rates for short-term loans, if state regulations allow, since no federal agency is responsible for them. The lack of strong regulation increases risks for the customer, the lender and in some cases the economy. Bernie Madoff was the focal point of a financial scandal that broke in 2008, because his under-regulated fund was manufacturing numbers out of thin air in a Ponzi scheme. Because the accounts were not insured, many lost all of the money they allowed Madoff to invest.